Nobody wants crooked, misaligned teeth, but a mouthful of metal isn’t exactly an appealing alternative. Amy Mandalia, DDS, general and cosmetic dentist at Buckhead Dental Care in Atlanta, offers Invisalign® teeth alignment treatments. If you want to straighten out your smile without the inconvenience of braces, call Buckhead Dental Care or book an appointment online today. Invisalign is an innovative new way to straighten teeth. It offers a great alternative to traditional teeth-straightening treatments like braces. This treatment uses clear, plastic aligners that fit over your teeth to gradually align them over time. The aligners are removable for easy eating and teeth cleaning, but you need to wear them for at least 20 hours per day for the best results. Wear the Invisalign aligners any time you are not eating, drinking, or brushing your teeth. 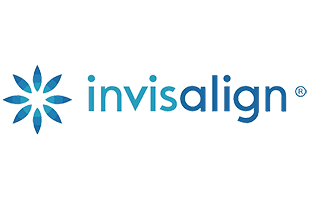 Invisalign might not be the right treatment for you if you have major alignment and orthodontic issues. Dr. Mandalia might recommend an alternative treatment if this is the case. Schedule an appointment to find out if Invisalign is right for you. 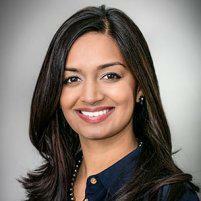 First, Dr. Mandalia examines your teeth to determine whether Invisalign is right for you. She might either make physical impressions of your teeth or create 3D images of them using a digital scanner. With these, Dr. Mandalia will be able to form an individualized treatment plan that suits your specific needs. Then Dr. Mandalia customizes clear, plastic aligners that fit your teeth. While you wear them, the aligners gradually push your teeth where they are supposed to go. As your teeth move, new aligners may be made to continue progress. Until your smile is perfect, this process will keep going. Talk to Dr. Mandalia if you want to straighten your teeth without painful, unsightly braces by calling Buckhead Dental Care or booking an appointment online today.